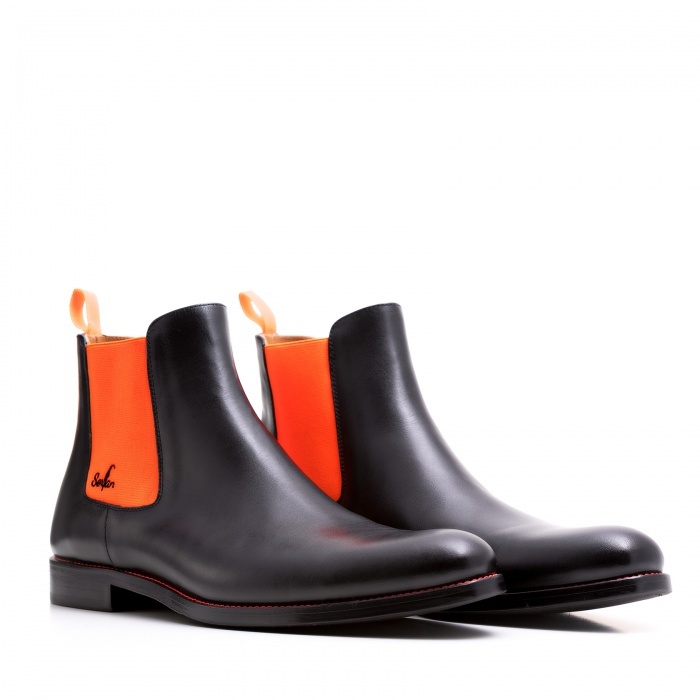 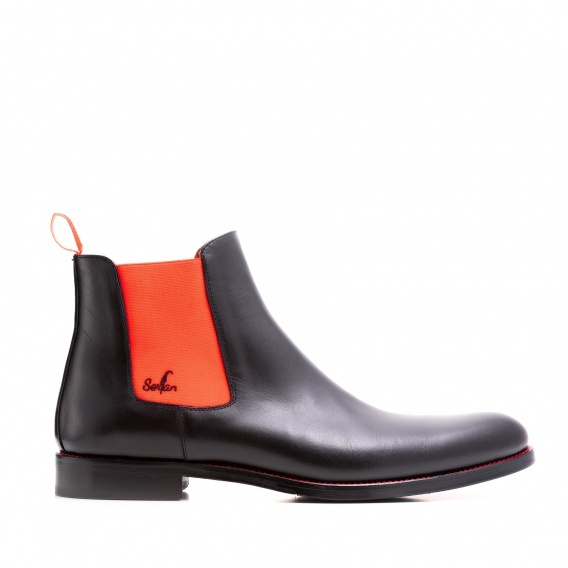 Our black Chelsea Boot is a symbol for good taste. The dark colour expresses your ability to dress well. In combination with the orange-coloured elastic bands you can create an original and young style. 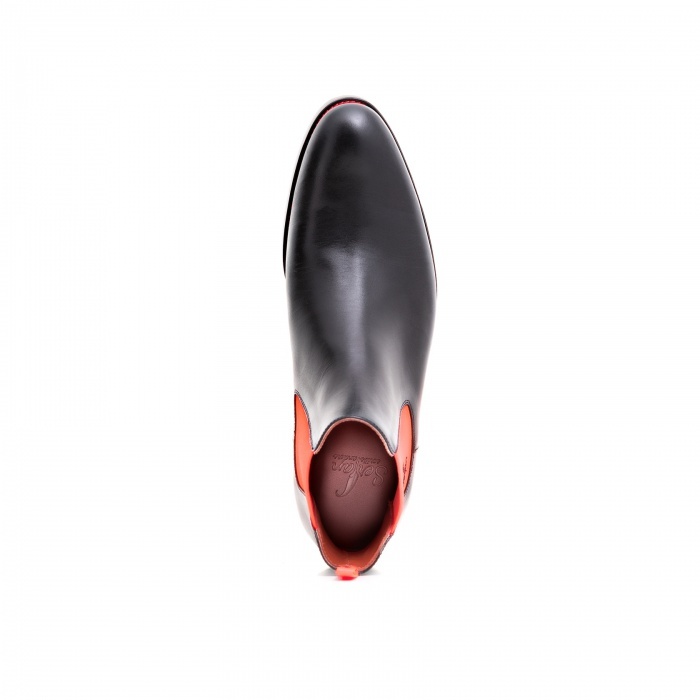 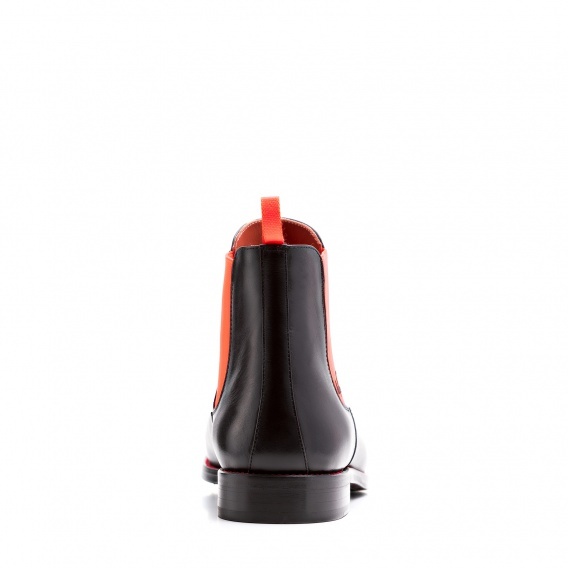 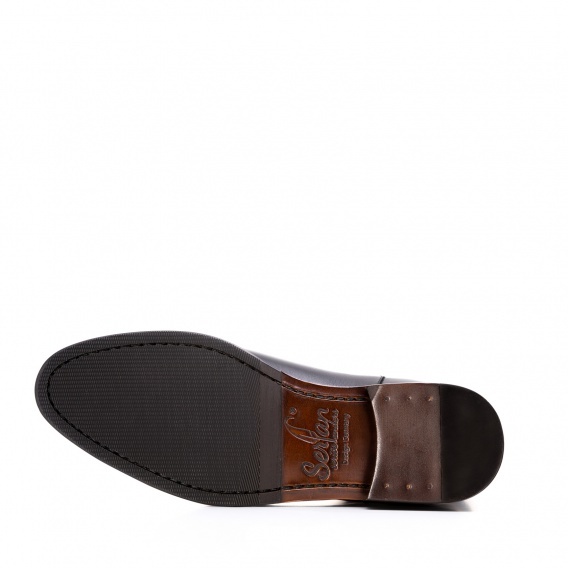 Due to the elastic bands on both sides of the shoe a very high wearing comfort and an excellent fit is achieved. 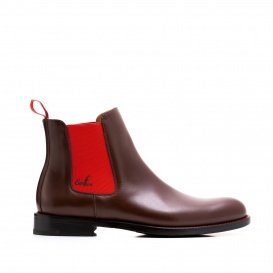 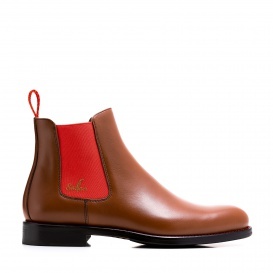 Combine these boots with an ancle-lenght jeans and a sports jacket. 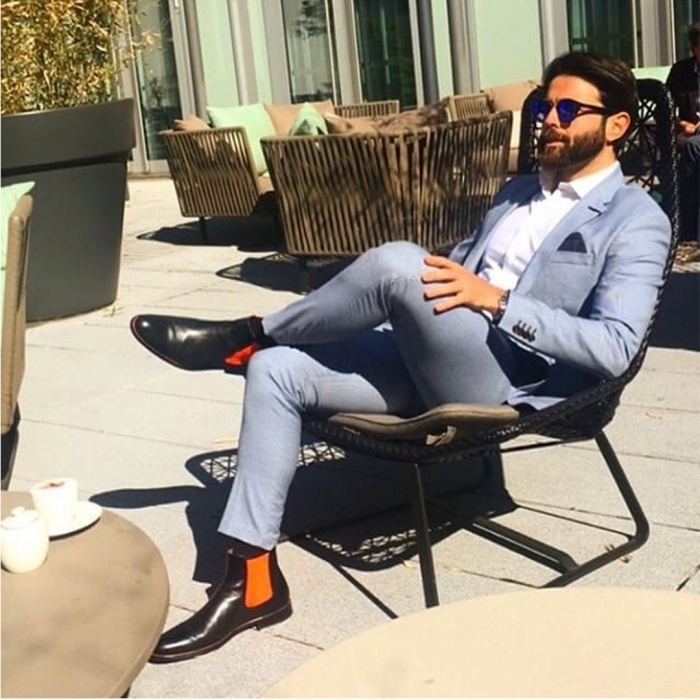 In this way you are dressed perfectly, but yet ready for everyday life.